Phillips Pan Head Bolt Screw w Washer. 304 Stainless Steel provides strength and offers good corrosion resistance in many environments. 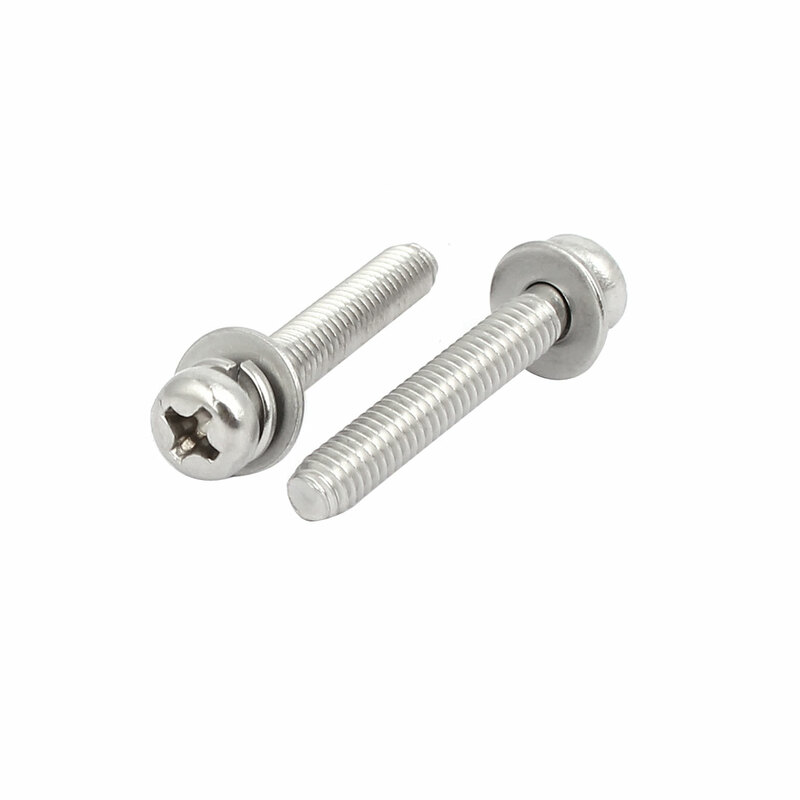 The sets include Phillips Pan Head screws, flat and split lock washers. Use for install air conditioner.